The Badger Effort Award is based on the schools character education. Students who demonstrate Character In Action (CIA), responsibility, accountability, honesty, empathy, and respect were nominated by their classroom teachers and staff. 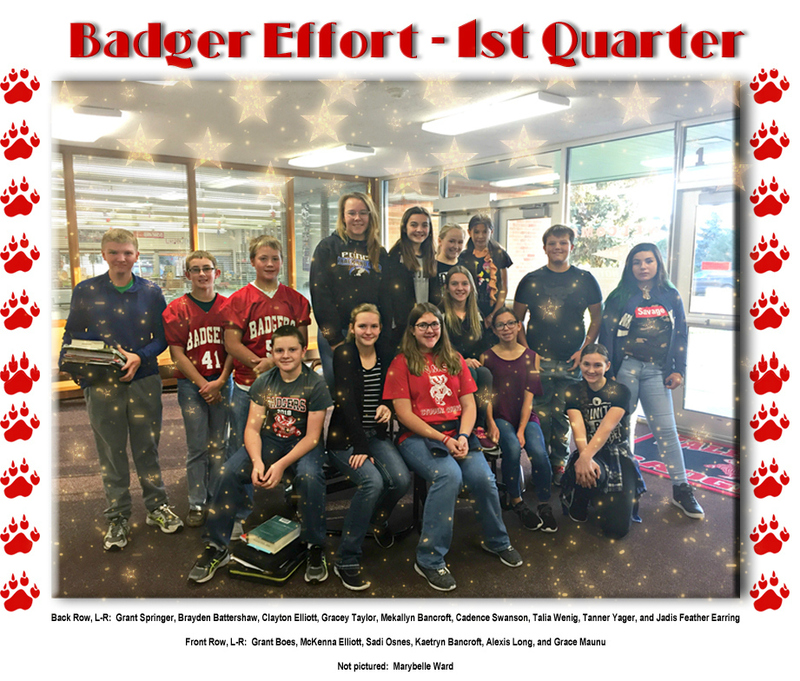 Congratulations to our 1st Quarter Badger Effort recipients!